Weston Aviation has opened it Business Aviation Centre and FBO at Cork Airport, the company’s first location in Ireland and its fifth in Europe. The new facility features 10,000ft² of hangar and office space that can accommodate super mid-size jets and has direct ramp access. The new center will provide superior passenger and crew facilities as well as competitive hangarage and fuel pricing. Helene Wall-Horan is in charge of the operation as managing director Ireland, and brings with her 17 years of business aviation experience. Heading up the FBO team as station manager is Paul Daly, who has 12 years’ experience at Cork Airport, five of those coordinating the executive ground handling team for Servisair/Swissport. 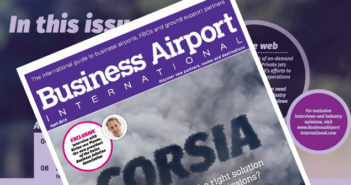 Wall-Horan said, “This new Business Aviation Centre is something Cork Airport has needed for many years and now, with the added support of the existing Weston Aviation network, we are confident we will establish our new facility and Cork Airport as a major business aviation airport of choice.